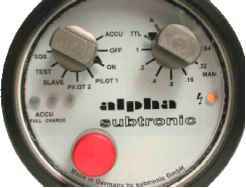 This is the Subtronic Alpha. It is one of the finest underwater flash units in the world. Yet is costs suprisingly little. It's equally at home in the hands of a beginner or a pro. It provides automatic TTL exposure with the Nikonos V and RS and most housed cameras For more creative lighting you can overide the TTL anytime you like and choose from seven manual power settings for fine discrimination. Its up to you. To ensure you don't miss shots when the action is fast and furious the Alpha recycles in under three seconds. There's plenty of power with the Alphas high guide number of 28. And you won't need a light sapping diffuser when you shoot wide angle. All of that power is available to you with full 100 degree coverage. The built in power pack lets you shoot five rolls per charge and recharging via the multi voltage smart charger takes just two hours. 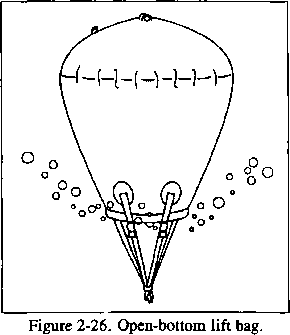 The Alpha has an aiming light fitted in the reflector as standard. 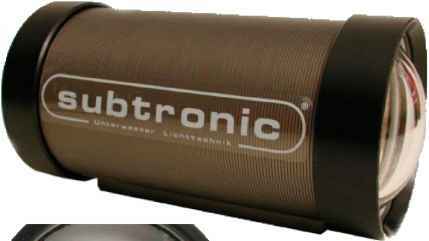 Switchable underwater between 7 and 10 watts, it's brighter than many primary dive lights and can be used for night diving. And it doesen't stop there. A safety beacon and slave are standard features on the Alpha. The gun is hand assembled and protected by a 100 metre depth rated aluminium body. And you won't even get nickled and dimed on accessories. The Alpha comes complete with charger and cable. And all for just £799.00.